I’m writing this at 34,000 feet on my iPad on a flight heading to California to meet a new friend and to run dogs in the Sierra nevada mountains. It has been years since I have been on the back of a dog sled. I have thought about this moment for just as long. Early in this new millennium, my wife, Michele got an opportunity to take a job in Denver, Colorado. She said you can come if you want but I am going. That changed my dog sledding plans and my training for the Iditarod in 2003. In 2006 Michele was fed up with her job in denver as a paralegal at a large Denver law firm and wanted to join me at our new business at Denver Dog Works. I remember telling her the day she wanted to quit her job, “I won’t tell you to quit or not, it’s your decision, but just so you know, please don’t blame me if you don’t like it,” I said. Let’s fast track to May of 2009. Our business, Denver Dog Works has survived well and we are making a name for ourselves in Denver and building a pretty nice life for our family, but that Iditarod dream just wouldn’t go away. I started talking to people on Facebook and one person I be-friended was Iditarod veteran Hugh Neff. We got to talking and soon I asked him if he would like to come out to Colorado and speak at my daughter’s school on his upcoming tour in the fall. He accepted and we started making plans. In January of 2010 I was privileged to connect with Chris Fuller a public speaker, business coach and author of the book Iditarod Leadership. 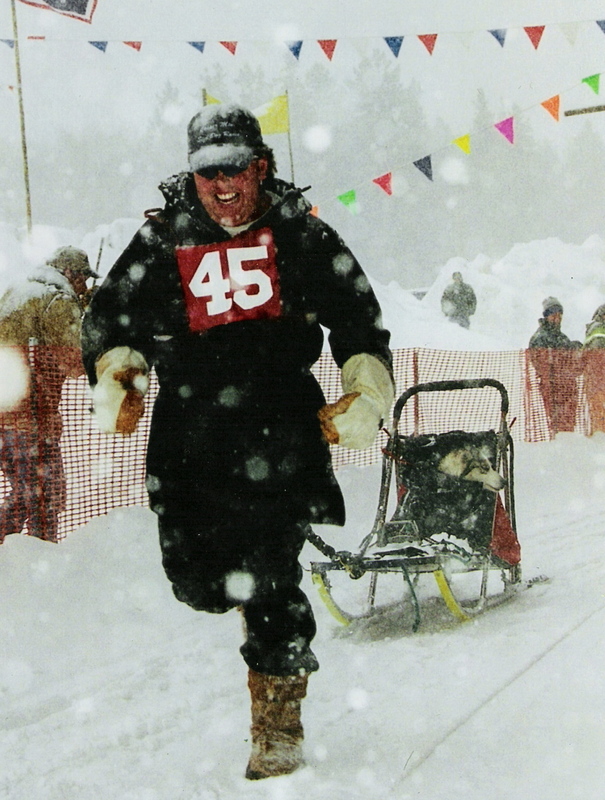 Chris was hosting a conference in Anchorage to correspond with the start of the Iditarod. I accepted his invitation to attend and made plans to be in Anchorage for the Iditarod start the first Saturday in March. Soon after I booked my flight I contacted Hugh and said I would be there. I arrived in Anchorage on a red eye Wednesday night before the ceremonial start on Saturday and attended Chris’ conference. It was awesome! That evening was the mushers banquet and got to meet a lot the mushers and new friends. On Friday I met Hugh in Wasilla and he introduced me to his team and offered me a handlers pass for Saturdays start on Fourth Street. Hugh was staying at a friend of his, Dave Sheer, a veteran musher and realtor. I said as I was leaving, “let me get your number, I might be looking for a place up here soon.” those words changed my life forever. The ceremonial start was everything I expected. I helped Hugh and his team get started and learned a lot about race preparations. I had a red eye flight to catch on Saturday night so I wasn’t able to go to Willow for the official start on Sunday but that was okay. I arrived back in Denver full of enthusiasm and motivation. Michele and I talked about it and decided it was time to get back into racing. Within three weeks I was looking at a property in Minnesota that showed promise but the county wouldn’t allow a sled dog kennel. Within a few days we found a home for sale and I made plans to go up to alaska to see it. On July 3rd, my daughter and I will be heading up for another quick trip. This time to take the next step in our journey. Dr. Robert Forto is the dog sledding examiner, a musher training for his first Iditarod in 2013 under the Team Ineka banner and the host of the Dog Doctor Radio Show.